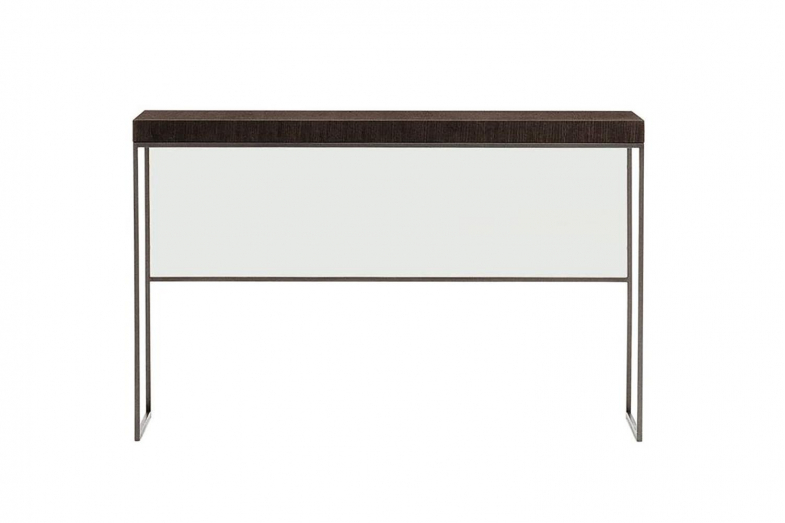 The Elios high console features a back panel in etched glass. 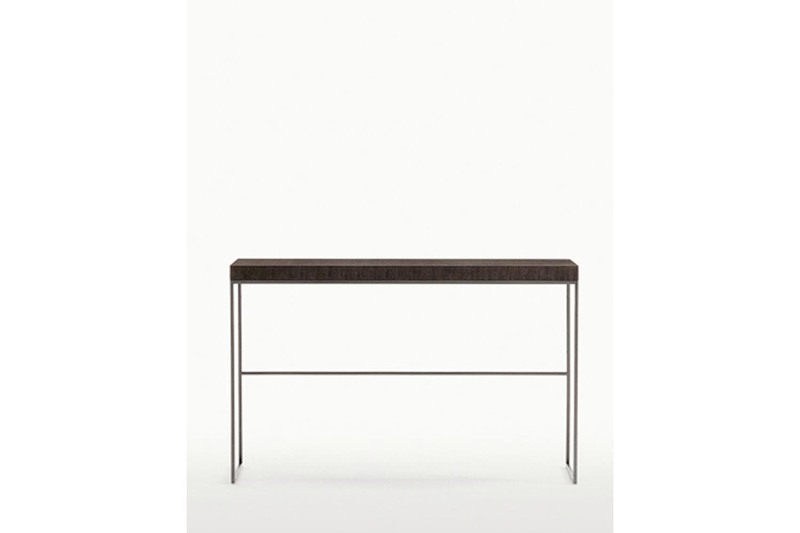 An elegant metal frame proposed in three finishes: bronzed, bright chromed or nickel painted steel. Top finishes are available in grey oak, brown oak, brushed light oak, brushed black oak or wenge.